Take your home decor from bland to bold with some chevron! Chevron is a timeless pattern consisting of zigzagging lines that instantly add energy to any space. But be careful—too much chevron can make your space feel frenetic. Jenna Pizzigati-Coppola, founder and owner of Pizzigati Designs, offers 3 tips for decorating with chevron that will work with any style. 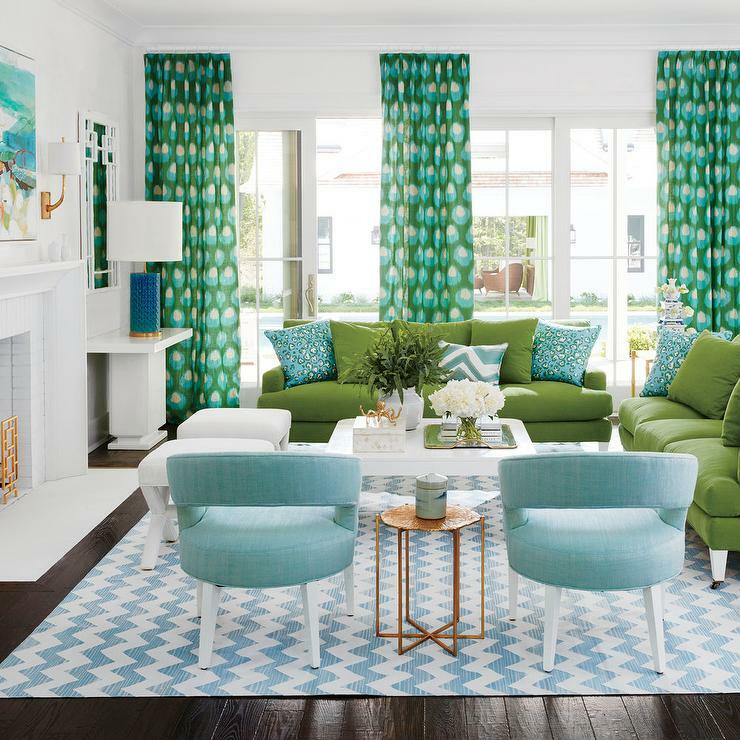 Instead of adding chevron to all the walls in your living room, try to limit this eye catching print to accent and smaller items rather than large commitment pieces, advises Pizzigati-Coppola. “I like to use it on accent pillows, artwork and rugs,” she says. Not only is it the perfect pattern to help give your home a hint of chevron, but it’s easy and not too expensive to swap out with something new if your taste change later on. If you want to go with a larger application of chevron in your home, limit it to neutral colors. Says Pizzigati-Coppola: “Although this is one of my favorite patterns, on a large scale it can be a tad overwhelming.” So if you want to make a big chevron impact— such as an accent wall—use it in neutral tones such as gray and white, or black and white. It will still make a strong statement without being too overpowering. Most people think of chevron on wallpaper in living room walls or maybe on a quilted comforter, but chevron works well in tile, too. You can use chevron as a cool backsplash in your kitchen, or as a feature tile wall in your bathroom shower.